Hi guys! I’m making my way ’round Ireland right now and it’s incredibly beautiful here. I can’t wait to share photos with ya’ll when I’m back! Today we’ve got another awesome recipe coming at you from Kristy of Chocolate Slopes. 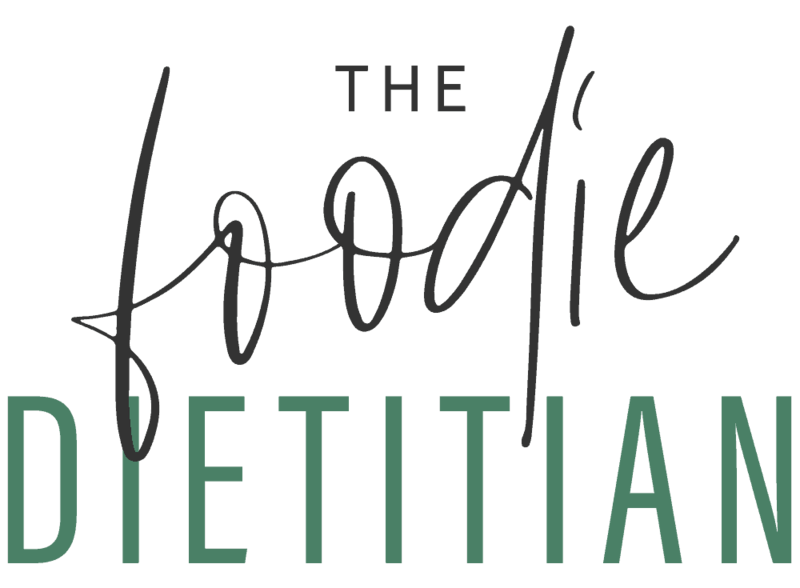 Kristy is a fellow dietitian blogger – another RD I’ve actually never met in person but love following online! Kristy is a busy mother of 3 kids (under the age of 5!) 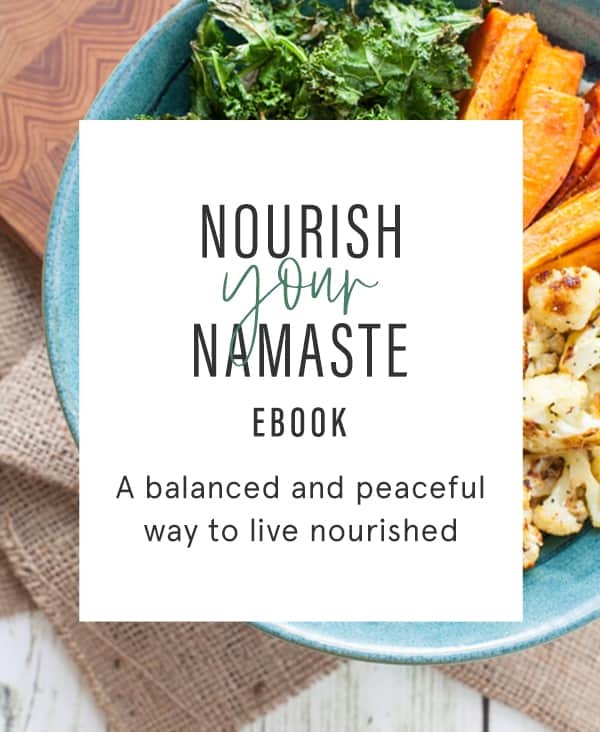 so her blog is all about helping families find realistic nutritious recipes and solutions. Something I think we could all benefit from! 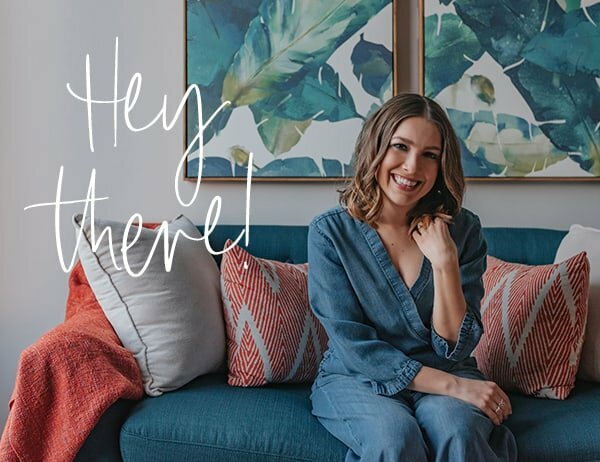 Thanks, Katie for hanging out on the blog today! I want to first say that I am honored to be guest posting for Kara while she’s enjoying her vacation. And not just any vacation, but a vacation in Europe! I hope she’s enjoying all the ridiculously delicious food and getting some R & R! Well deserved! Now onto the salad. As a dietitian who’s raising a family, I love sharing recipes that are practical, healthy and quick to prepare. That’s how I came up with this simple broccoli salad. 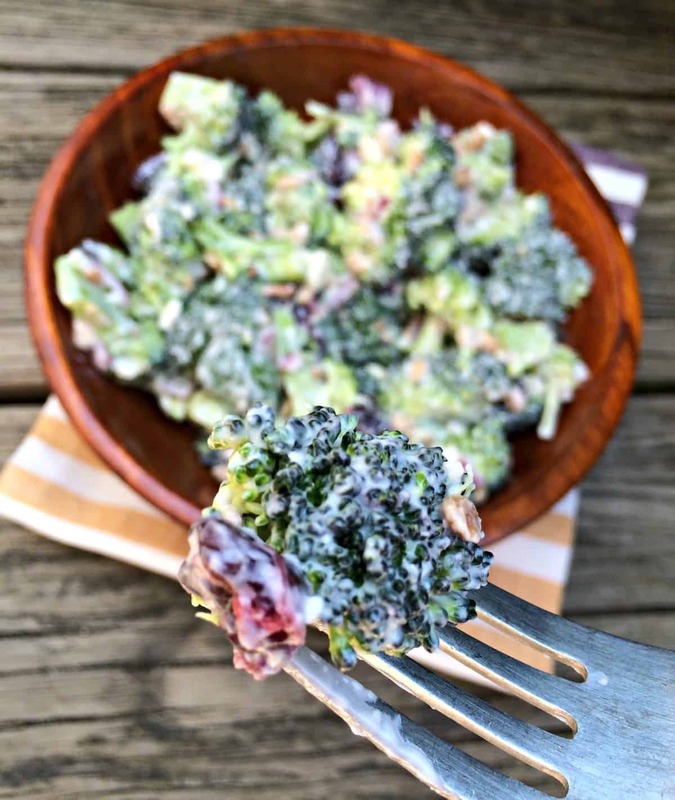 This Creamy Broccoli Salad is a perfect side dish to bring to any party and with its basic ingredients, you likely have everything on hand already! Thankfully my family loves broccoli, it’s a good thing because it’s one of my favorites and by far the most common vegetable I ate as a child. However, during my childhood I believe the reason why I ate so much broccoli was because of the delicious gooey Velveeta cheese that my mom would melt over the top of it (at least my siblings and I ate the vegetables, right?!). Well I personally don’t buy Velveeta, but I have been known to sprinkle roasted or steamed broccoli with sharp cheddar cheese or Parmesan cheese. 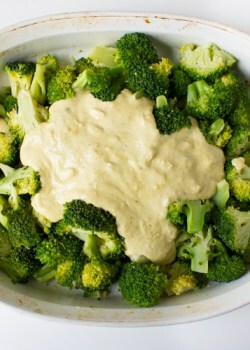 Cheese + anything really is a fantastic combo.As you can see I have a love of broccoli whether it’s steamed, roasted, stir-fried, eaten raw or mixed into salad like this Creamy Broccoli Salad. Nutritional Tidbit: Did you know that broccoli is not only a good source of fiber but it’s also low in calories with only 30 calories for 1 cup of raw broccoli? Broccoli also contains several essential vitamins and minerals including vitamin C, vitamin A, vitamin K, folate and potassium. Eating a diet high in cruciferous vegetables like broccoli has been shown to decrease the risk of heart disease, obesity and diabetes, as well as have some cancer-fighting effects. Quite the super food if you ask me! 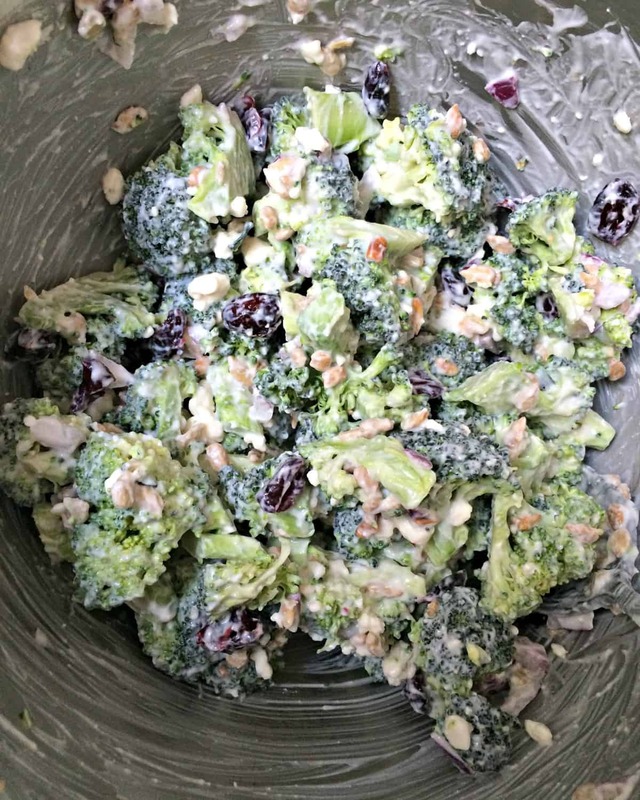 In a large bowl combine the broccoli, red onion, sunflower seeds, dried cranberries and feta cheese. Combine the remaining ingredients: Greek plain yogurt, light mayonnaise, sugar and red wine vinegar for the dressing. Add the dressing to the vegetable mixture and stir until combined. Refrigerate salad until ready to serve. Excellent suggestion! I added my nuts to my broccoli salad and it was to die for! So creamy and fresh. Thanks ! 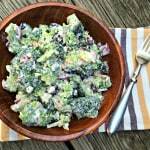 I love broccoli salad, it’s one of my favorite items at picnics, but I’ve never made it! 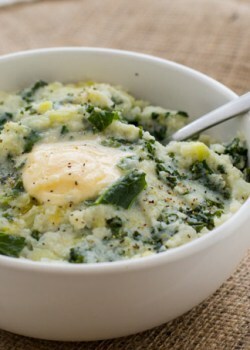 Just pinned this and am excited to try it. Thanks for the recipe! I’ve never made it either! And I think I may have had it once or twice in my life. That needs to change, stat!